Most catalogs may be downloaded. Printed copies may be requested if indicated. Description: This e-catalgue offers for sale work by a talented group of photographers who studied at the California School of Fine Arts in San Francisco between 1945 and 1955 under a faculty that included some of the great photographers of the age—Ansel Adams, Minor White, Edward Weston, Imogen Cunningham, Dorothea Lange, and Lisette Model. Many of the students went on to distinguished photographic careers themselves. The work of many of these accomplished photographers has now been published by Steidl in The Golden Decade: Photography at the California School of Fine Arts, 1945-55 and will be exhibited at the Laguna Art Museum, February 19-May 29, 2017. 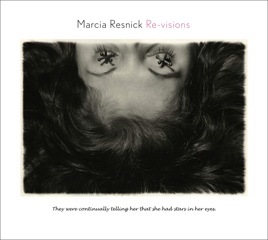 Description: Our third e-catalog of photographs is devoted to Marcia Resnick’s Re-visions. These 1978 photographs are insightful, tongue-in-cheek depictions of female childhood, puberty and adolescence, each image paired with the photographers own humorous commentary on her girlhoods missteps and misdemeanors, discarded innocence and delicious discoveries. Resnick’s book Re-visions was published in 1978. Vintage prints from Re-visions are offered for sale in this catalog. Description: Included are books devoted to painting of the masters, as well as catalogs on collections of art and decorative arts, encompassing painting and sculpture, antiquities, cermic, textile and furnishing. Several of the volumes are auction catalogs, and when the prices realized have been recorded by hand on their pages these publications tell us how the objects were valued. These books tell the story of the nineteenth centurys enchantment with the idea that for the first time works of art could be reproduced faithfully. Although todays advanced reproductive techniques make these inventories seem antiquated and quaint, they remain testaments of the nineteenth centurys narrative on art history, the art market and the objet dart. Title: PHOTOGRAPHICALLY ILLUSTRATED, CATALOG IV: Books and albums with original photographs, 1859-1942. 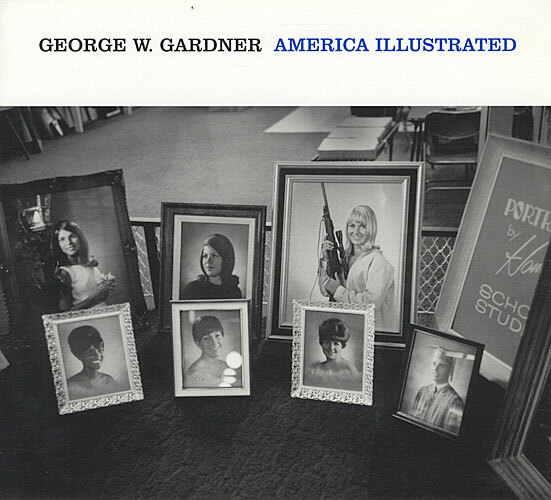 Description: For nearly fifty years George W. Gardner has been traversing America to make a portrait of a country he knows to the depth of his soul. [He] shows us our emotions, our rituals, our triumphs, our absurdities - the world we have created. He forces us to reflect upon ourselves and our American Dream for better or for worse. 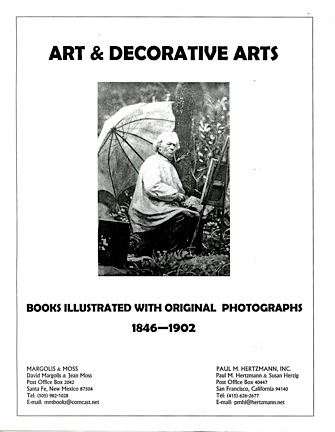 Many of the photographs offered for sale in this brochure were originally published in his book America Illustrated published in 1982. His photographs are available through Paul M. Hertzmann, Inc. and Deborah Bell Photographs, New York. Some of the images can be seen on our website by clicking on the photographer’s name. Description: Our third sales catalog on books and albums containing original photographs. A large selection of books or albums on engineering, France, industry, Latin America, railroads, science and technology, plus numerous other subjects from advertising to travel. Several volumes showcase the photographs of Thomas Annan, Adolph Braun, Napoleon Sarony, Isaiah Taber, and Frederick Evans. Many of the books in this catalog are still available and can be viewed on the website by clicking on Books & Albums on the navigtion bar. Description: Our second sales catalog devoted to published books with original photographs and albums created around a specific theme or location. Subjects represented include Americana, archeology, architecture, city views, fine & decorative arts, industry, science, and more. Some of these books are still available for sale and can be viewed on the website by clicking on Books & Albums on the navigation bar. 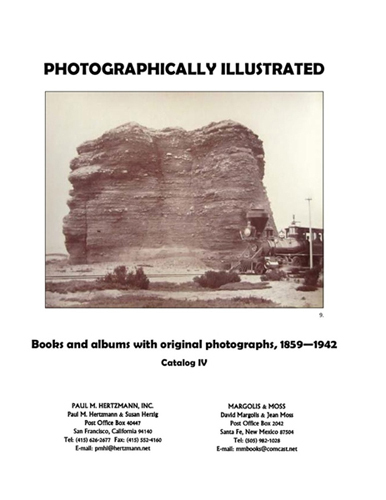 Description: This sales catalog, our first collaborative effort with Margolis & Moss, book dealers in Santa Fe, NM, reflects our shared passion for the printed word and the photographic image. 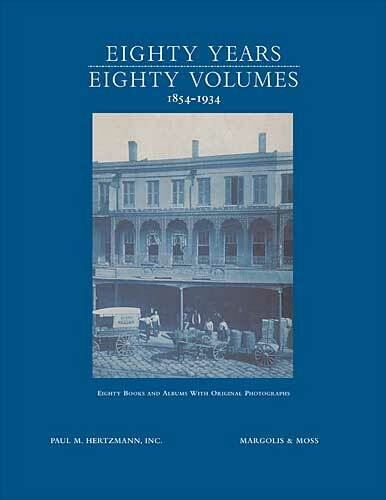 All the major nineteenth century photographic processes are represented by the books in the catalog: calotype, cyanotype, albumen, platinum, and silver. Books containing woodbury and carbon prints are included as well, since they were a bridge to the later photo-mechanical processes. Subjects range widely, with particularly numerous books on archaelogy, architecture, fine arts, France, landscape, Latin America, literature, science and technology. Description: Marcia Resnick has staged for the camera images of an adolescent girl whose innocence has given way to an understanding of good and evil and who displays increasingly little ambivalence about the appeal of being a good girl. 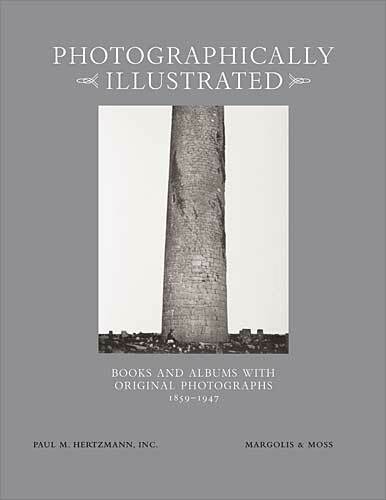 The photographs offered for sale in the is brochure were originally published in Resnick’s 1978 book Re-visions. 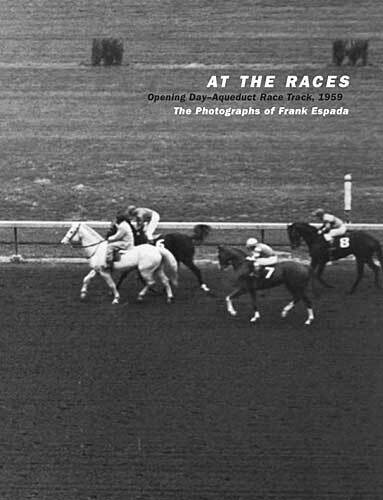 Description: The sixteen photographs in this catalog chronicle opening day at the Aqueduct Racetrack in New York in September, 1959. Like all Espada’s photographs, these images say much about human nature and emotion. With honesty and empathy Espada astutely portrays the spectators and bettors whose hearts and minds are focused on the irrational hope of beating the odds. Espada’s photographs can be seen on the website by clicking on Photographs on the navigation bar. 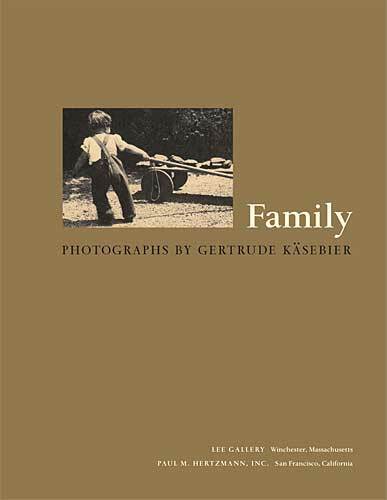 Description: Twenty-three photographs by Gertrude Kasebier are illustrated in the catalog. Drawn from photographs of her own family, many of the images, including Happy Days and The Picture Book became famous through reproduction in Camerawork and other publications and through exhibitions of the photographer’s work. The catalog includes an essay by Barbara Michals, author of the monograph Gertrude Kasebier: The Photographer and Her Photographs. 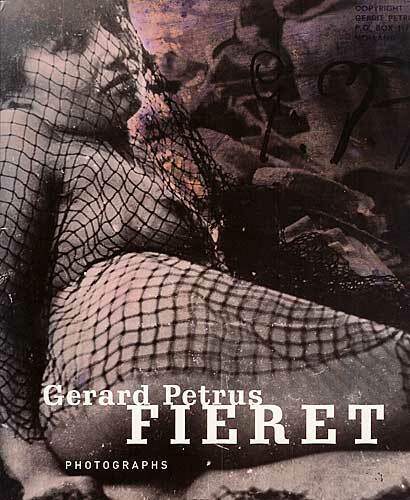 Description: This catalog illustrates 26 of Dutch photographer Gerard Fieret’s [1924-2009] innovative portraits and alluring nudes of the 1960s and 1970s. 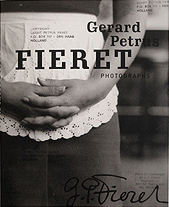 The robust energy and private narrative of these pictures make Fieret’s work as fresh and relevant today as it was 40 and 50 years ago. Description: This catalog illustrates 22 of Dutch photographer Gerard Fieret’s [1924-2009] innovative portraits, alluring nudes and vignettes of daily life of the 1960s and 1970s. The robust energy and private narrative of these pictures make Fieret’s work as fresh and relevant today as it was 40 and 50 years ago. Description: The twenty-one abstract color photographs featured in this catalog are unique among photographer and filmmaker Hy Hirsh’s [1911-1955] little known work. They directly link his still photography to the experimental films for which he is best known. By closely connecting the two, he joins such artists as Man Ray and Francis Bruguiere in making a notable contribution to both experimental filmmaking and photography. 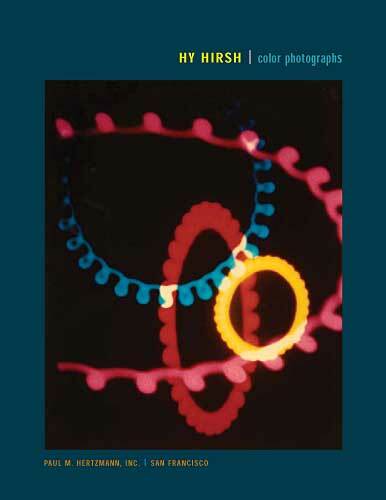 An essay on Hirsh by Dennis Reed, a chronology, a filmography, and bibliography are included. 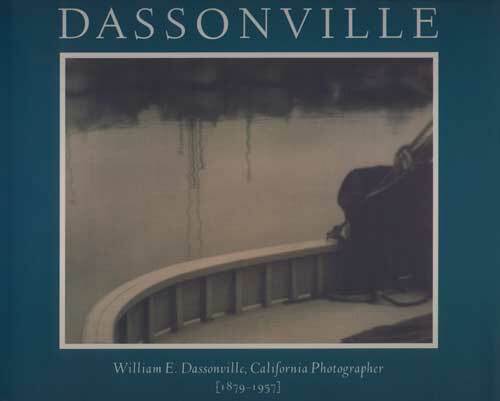 Description: This hard back monograph on William Dassonville contains 48 color and duotone full plate illustrations of his photographs, as well as a biographical and critical essay by Peter Palmquist. 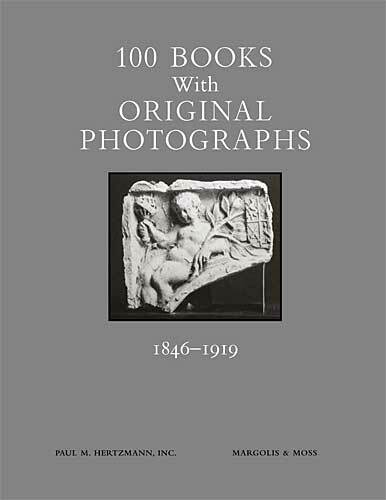 The appendices include the photographer’s exhibition history, a listing of his published photographs, reproductions of his published writings and a bibliography. One hundred years ago San Francisco photographer William E. Dassonville gained national and international acclaim as a fine portraitist and interpreter of the California landscape. His photographs hung in important exhibitions alongside the work of the masters of the Photo-Secession and the Arts and Crafts movement. Between 1900 and 1915 many of America’s prominent citizens, such as John Muir, William Keith and Maynard Dixon, flocked to Dassonvilles studio. Simultaneously, he crisscrossed California’s landscape to capture views of its dramatic coast and rolling hills as well as Yosemite Valley and the High Sierra. He produced exquisite photographic prints in the platinum and gum bichromate processes. In the early 1920s, Dassonville shifted his attention to San Francisco’s waterfront and bay, skyline, skyscrapers and industrial towers, continuing to create superbly crafted photographs with his Charcoal Black silver paper. Published by Carl Mautz Publishing, Nevada City, CA. 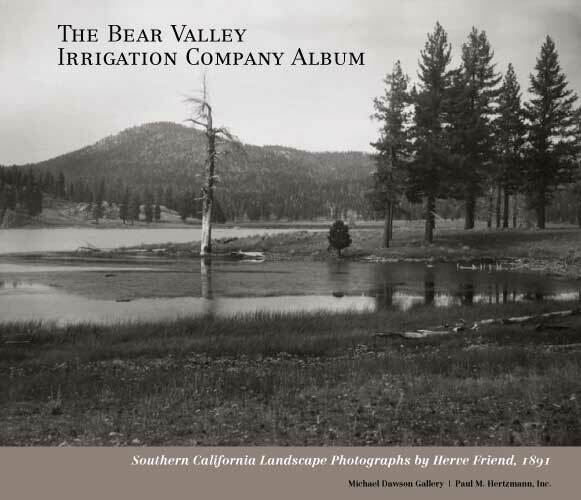 Description: Herve Friend’s remarkable photographs of the Bear Valley Irrigation Project and the early settlement of the arid San Bernardino Valley are the only known mammoth plate albumen prints to be made in Southern California during the last decade of the nineteenth century. They provide incontrovertible evidence that water literally made the desert bloom. The original album of 49 mammoth plates by Friend is rare. Currently the only other known complete example resides in the archives of the Heritage Room at the A.K. Smiley Public Library in Redlands, California. The finest of the photographs are illustrated in this catalog, and an original essay by Nathan Gonzales, Associate Archivist at the Smiley Public Library, is included. 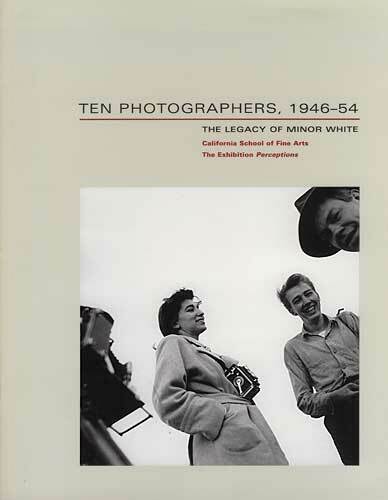 Description: A catalog devoted to the photographs of ten students of Minor White at the California School of Fine Arts (now the San Francisco Art Institute) in the years following World War II. The photographers are: John Bertolino, Zoe Brown, Benjamen Chinn, Bob Hollingsworth, Gene Peterson, Nata Piaskowski, F. W. Quandt, Jr., Charles Wong, and Harold Zegart. Examples of each photographer’s work are included in the catalog. An essay by Deborah Klochko examines how the California School of Fine Arts photography program, as well as the publication Aperture, founded by Minor White, and the 1954 exhibition Perceptions at the San Francisco Museum of Modern Art nutured and defined the work of these photographers. Description: A six-sided folded brochure with twelve of the photographer’s images and a biographical sketch. 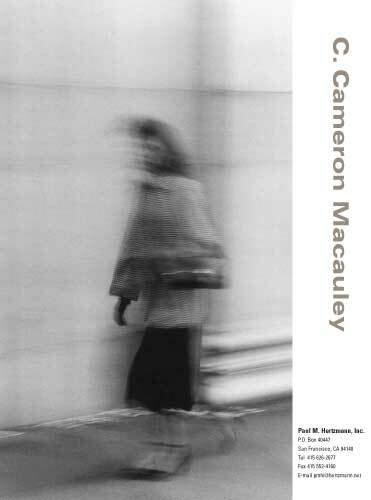 Cameron Macauley [1923-2007] studied photography at the California School of Fine Arts (now the San Francisco Art Institute) with Minor White from 1949 to 1951. 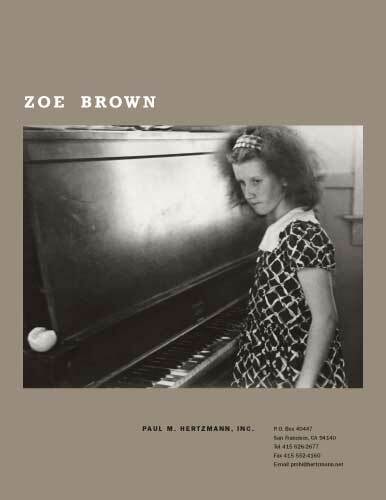 Zoe Brown studied photography at the California School of Fine Arts (now the San Francisco Art Institute) with Minor White from 1951 to 1953. Her work has appeared in Aperture, U.S. Camera, and Modern Photography and was included in the 1954 exhibition Perceptions at the San Francisco Museum of Modern Art. 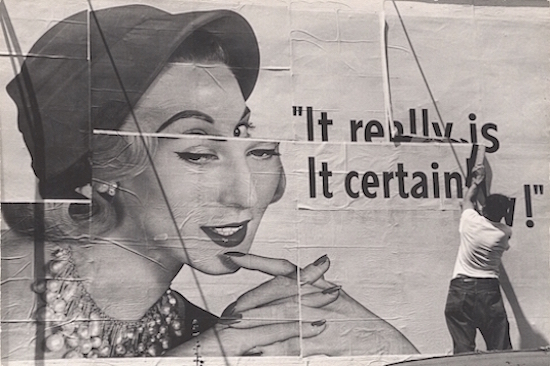 Title: Pat Harris Photographs, 1948-1950. 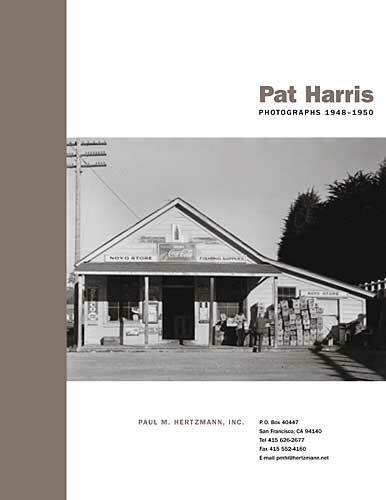 Pat Harris studied photography at the California School of Fine Arts (now the San Francisco Art Institute) with Minor White from 1947 to 1949. Edward Steichen bought three of her photographs for the Museum of Modern Art, where her work was exhibited in 1948 [In and Out of Focus] and 1951 [Abstraction in Photography]. Description: A six-sided folded brochure on Dutch photographer Steef Zoetmulder [1911-2004], illustrated with 12 images and including a biographical sketch. Description: A six-sided folded brochure with twelve of this Dutch photographer’s images and a biographical sketch. Working in the spirit of subjective photography after World War II in Europe, Pim van Os [1910-1954] produced abstractions, solarizations, light studies and other experimental images. His photographs were included in the second and third Subjective Photography exhibitions in Stuttgart, Germany, in the 1950s. Description: A catalog on Dutch photographer Cas Oorthuys [1908-1975], illustrating his photocollages and other experimental work and his documentary photographs; with a biographical essay.